What about Prescription Medication and Treatments for Anxiety and Depression? As with psychotherapy and integrative therapies, medication should be individualized to your particular condition and physiology. Work with your provider to identify the type of medication that may work for your symptoms, and track the effect of the medication(s) closely. Medications can take weeks or even months to have an impact, and it sometimes takes a long time to find the correct type and dosage. In addition, your medication needs can change with time and circumstance, so it is important to keep paying attention to how you feel and how the medication impacts that. Cautions: Medications and nutritional supplements for depression and anxiety are best initiated slowly and increased to the ideal dose. 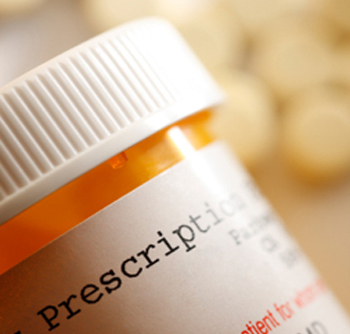 Discontinuation of a medication should also be decreased slowly under the supervision of the prescriber. Selective serotonin reuptake inhibitors (SSRIs) are medications that increase the amount of the neurochemical serotonin in the brain. People with depression often have low serotonin levels in the brain, and as their name implies, the SSRIs work by blocking the reabsorption of serotonin so it stays around. They are called selective because they mostly impact serotonin and not other neurochemicals. SSRIs have fewer side effects than many of the older generation antidepressants, such as the tricyclic antidepressants (TCAs) and monoamine oxidase inhibitors (MAOIs). Therefore, SSRIs are often the first-line treatment for depression. Examples of SSRIs include Fluoxetine (Prozac), Paroxetine (Paxil), Sertraline (Zoloft), Citalopram (Celexa), Fluvoxamine (Luvox), and Escitalopram (Lexapro). Dual-action antidepressants (SNRI’s). Some of the newer antidepressant drugs appear to have particularly robust effects on both the norepinephrine and serotonin systems and are called “dual-action.” These drugs seem to be very helpful, especially for the more severe and chronic cases of depression. Venlafaxine (Effexor), Duloxetine (Cymbalta), and Desvenlafaxine (Pristiq) are three of these dual-action compounds. Mirtazapine (Remeron, NaSSA). Although Mirtzazpine is primarily an antidepressant for major depression, it also has been found beneficial for anxiety and insomnia. It may stimulate the appetite and thus cause weight gain for some at higher doses. Mood stabilizers and anticonvulsants include lithium (Eskalith, Lithobid), Valproate (Depakene, Depakote), Carbamazepine (Epitol, Tegretol), Gabapentine (Neurontin), and Lamotrigine (Lamictal). They have been used to treat bipolar depression and they are sometimes used “off-label” for some forms of anxiety and depression. Tricyclic antidepressants (TCAs) were developed in the 1950s and 1960s to treat depression. They work mainly by increasing the level of norepinephrine in the brain. TCAs are safe and generally well-tolerated when properly prescribed. However takeN in excess, TCAs can cause life-threatening heart-rhythm disturbances. Examples of tricyclic antidepressants are amitriptyline and desipramine. Monoamine oxidase inhibitors (MAOIs) are the earliest developed antidepressants. MAOIs can interact with over-the-counter cold and cough medications to cause dangerously high blood pressure. Because of these potentially serious drug and food interactions, MAOIs are usually only prescribed after other treatment options have failed. Some of the newer psychopharmacology options that may work with the brain for the neurotransmitters nutrient replenishment include: Vilazodone HCL (Viibryd), an approved SSRI and 5-HT1A receptor partial agonist and L-Methylfolate (Deplin), a folate (B vitamin) supplement. Benzodiazepines. These medications are sometimes referred to as "tranquilizers," because they may leave you feeling calm and relaxed. Common benzodiazepines include Alprazolam (Xanax), Chlordiazepoxide (Librium), Diazepam (Valium), and Lorazepam (Ativan). Antidepressants, such as Fluoxetine (Prozac), Paroxetine (Paxil), Sertraline (Zoloft), Citalopram (Celexa), Escitalopram (Lexapro) (SSRI’s) and Effexor, Cymbalta, Pristiq (SNRI’s). Serotonin Enhancer, such as Buspirone (Buspar). Dependency on anti-anxiety medications is a potential complication of treatment. Other side effects of medications include sleepiness and sexual problems. In ECT, an electric current is passed through the brain to produce controlled convulsions (seizures). ECT is useful for certain patients, particularly for those who cannot take or have not responded to a number of antidepressants, have severe depression, and/or are at a high risk for suicide. In many people, ECT relieves depression within one to two weeks after beginning treatments. After ECT, some patients will continue to have maintenance ECT, while others will return to antidepressant medications. In recent years, the technique of ECT has been much improved and may be a valuable treatment for people suffering from severe depression who may not be responding to medication in a satisfactory way. Inhale into a soft belly, taking in light, love, and healing energy. Picture this as clear, bright, or sparkling. Feel yourself becoming brighter as you fill with light and joy. Exhale fully, releasing any negative states or feelings. You may picture it as darkness or a fog. If you have anger, fear or sadness, breathe them out. If you have tension, anxieties, or worry, release them as you exhale. How Do I Get the E-Facts?